Who Benefits from Corporate “Loopholes”? President Obama has been critical of so-called tax loopholes because, he maintains, they unfairly reward some industries—such as the oil and gas industry—and incentivize others to expand overseas rather than domestically. Despite this well stated position, the president’s recently released FY 2012 budget shows that, like most people, he believes there are good tax expenditures and bad tax expenditures, and one’s opinion and priorities determine which is which. On the one hand, the president’s budget recommends eliminating or modifying more than $242 billion worth of tax expenditures benefiting multinational firms, oil and gas firms, coal companies, and insurance companies. On the other hand, the budget recommends making the Research and Experimentation Tax Credit permanent (worth $106 billion over ten years) and expanding a variety of other targeted tax credits for business worth more than $15 billion over ten years. To put these proposals in perspective, it’s instructive to review the universe of corporate tax expenditures as outlined in a volume of the 2012 budget titled Analytical Perspectives. This volume contains estimates produced by the Treasury’s Office of Tax Analysis of the budgetary costs of all of the tax preferences benefiting both corporate and individual taxpayers as of September 2010. However, these estimates do not include the extension of some preferences enacted in the compromise tax bill passed in December (such as the tax credit for ethanol production). In budgetary parlance, these preferences are called tax expenditures because public finance experts consider them the equivalent of spending through the tax code. There are roughly 80 separate corporate tax expenditures with a total budgetary cost of roughly $660 billion over the five fiscal years 2012 to 2016. While $660 billion is certainly a lot of money, it’s not nearly as large as the amount of tax benefits conferred through the individual tax code. For example, the five-year budgetary cost of the exclusion for employer-provided health insurance for individuals is more than $1 trillion and the mortgage interest deduction is worth at least $609 billion to the housing industry. Moreover, state and local governments enjoy about $640 billion in tax benefits through the combination of the deductions for state and local income ($292 billion) and property taxes ($142 billion), and the tax exemption for the various state and local bonds ($206 billion). 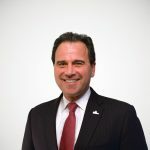 While it is commonly thought that most corporate tax preferences are designed to help specific industries, the fact is over 65 percent of the benefits are available to all corporate taxpayers, much in the same way the deduction for charitable contributions is available to all individual taxpayers. This is not to say that every widely available tax preference is justified or good tax policy (that is a subject of a future study); it just means they are not industry-specific. 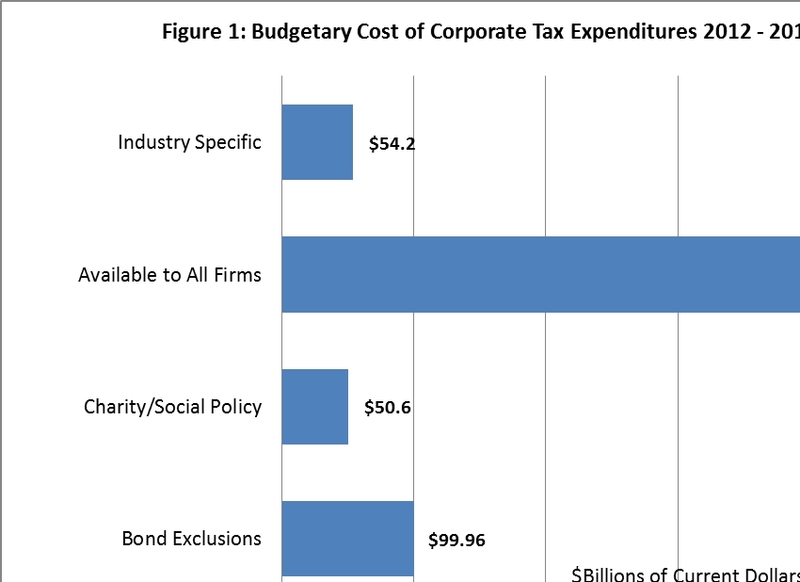 As Figure 1 shows, the largest category of corporate tax expenditures, with a budgetary cost of $448 billion over five years, is the group of preferences that are generally available to all corporate taxpayers. Within this category, the biggest “preference” is the deferral of taxes on the active income multinational firms earn abroad. This preference is considered to have a budgetary “cost” of roughly $213 billion over five years even though that income is not subject to U.S. tax until it is actually repatriated. Another large general tax preference—with a budgetary cost of $109 billion—is for the accelerated depreciation of machinery and equipment. Normally, these purchases would be depreciated over many years, so allowing businesses to write off these costs faster increases their budgetary costs in the short term. The third-most valuable general preference is the deduction for U.S. production activities, with a budgetary cost of $62.4 billion over five years. This deduction is available to businesses far beyond those engaged in pure manufacturing. As Figure 1 shows, the tax exclusions for state and local bonds have a surprisingly large budgetary cost of roughly $100 billion over five years. Of this amount, $73 billion is for the exemption of interest on bonds for “public purposes.” The remainder is for specific types of special purpose bonds such as those for water and sewage facilities, airports and docks, and hospital construction. At a budgetary cost of $54 billion over five years, direct subsidies, or industry-specific provisions, are the third largest major category of corporate tax expenditures. These are targeted to a wide variety of industries such as insurance, oil and gas, coal and minerals, renewables, and agriculture and timber. However, the largest amount of budgetary resources-nearly $18 billion-benefits non-taxed industries such as credit unions, cooperatives, mutual insurance companies, and Blue Cross/Blue Shield. Renewable energy industries enjoy the second-most direct tax benefits at $12 billion over five years; however, these figures don’t include the one-year extension of the ethanol credit. The insurance industry enjoys the third-most benefits at $10.6 billion. The oil and gas industries and the coal and mineral industries receive roughly equal tax benefits over five years at $5.8 billion and $5.9 billion respectively. Agriculture (excluding ethanol) and timber receive the least targeted benefits at $1.2 billion. • The tax credit for orphan drug research ($4.6 billion over five years). An objective review of the budgetary cost of corporate tax expenditures reveals that the rhetoric surrounding corporate “loopholes” seems greatly exaggerated. The roughly $660 billion in total tax provisions benefiting corporations may seem large, but it is less than the $1 trillion value of the benefits individuals receive from the tax exclusion for employer-provided health care, and is comparable to the value of tax expenditures benefiting state and local governments. Contrary to popular opinion, only about 8 percent of corporate tax expenditure benefits are targeted to specific industries such as renewable energy, insurance, oil and gas, and coal. Indeed, the benefits received by state and local governments are nearly twice the amount targeted to specific industries. The vast majority of tax expenditures are largely available to all corporations and industries. With the mounting federal deficits, corporate tax expenditures have come under increased scrutiny as a potential source of new tax revenues. However, considering the fact the U.S. has one of the highest corporate tax rates in the world, lawmakers would be far wiser to consider reducing or eliminating them within the broader context of corporate tax reform and lowering the federal corporate tax rate. Office of Management and Budget, FY 2012 Budget of the United States Government Analytical Perspectives, chapter 17, table 17-3, p. 252.